Additional steps are required when migrating from SharePoint 2010 to 2013 when Vizit is installed. This is caused by a new field in SharePoint 2013 that has an internal name that overlaps with our Parent Url field. Install SharePoint 2013 and migrate your 2010 data according to the instructions provided by Microsoft. Upgrade Vizit for SharePoint 2013 in the new 2013 environment. This contains the new Ribbon buttons and Search Display Templates required to access Vizit as well as updates required to support the new interface in SharePoint 2013. Upgrade to the latest version of Vizit for SharePoint 2010 (5.3 and higher). This will replace the ParentUrl field with our new ZParentUrl field, removing the conflict. Uninstall Vizit using the installer that you used to deploy the product. You will be prompted to "Remove" or "Upgrade"; choose "Remove". 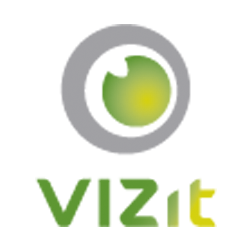 Install the latest version of Vizit for SharePoint 2010 (5.3 and higher).